KUALA LUMPUR, Malaysia -- Throughout more than 120 years of Olympic history, no city has hosted both the winter and summer games. Now, Beijing will be the first do it - and in the span of just 14 years. "It really is a safe choice," IOC President Thomas Bach said. "We know China will deliver on its promises." "This is an unfair question," he said. "You are taking a lot of assumptions. ... Obviously there was a technical issue with the voting system, the devices. If the scrutineers decide to be on the very safe side to have a new vote, to have this vote on a ballot paper, then this speaks for itself for a very fair election in everybody's interest." Almaty had hoped to bring the games to Central Asia for the first time, but was a lesser-known quantity and viewed as a riskier choice by IOC members. Kazakh Prime Minister Karim Massimov made a last-minute impassioned plea for the IOC to be "brave" and give the games to his country. "Gee, you wouldn't have picked that close result a few months ago," IOC vice president John Coates of Australia said. "That address by the prime minister today was brilliantly crafted. I think that's why it got close. But the size of China, the number of people that are going to be introduced to winter sport now, those were all factors." Friday's results mean the Olympics will be held three times in a row in east Asia: the 2018 Winter Games in Pyeongchang, South Korea, the 2000 Olympics in Tokyo, and 2022 in Beijing. "With the real globalization of the world, the growing importance of Asia, not only in sports but also in all areas of life, I think it is more or less normal that we have more Olympic Games taking place in Asia," Bach said. 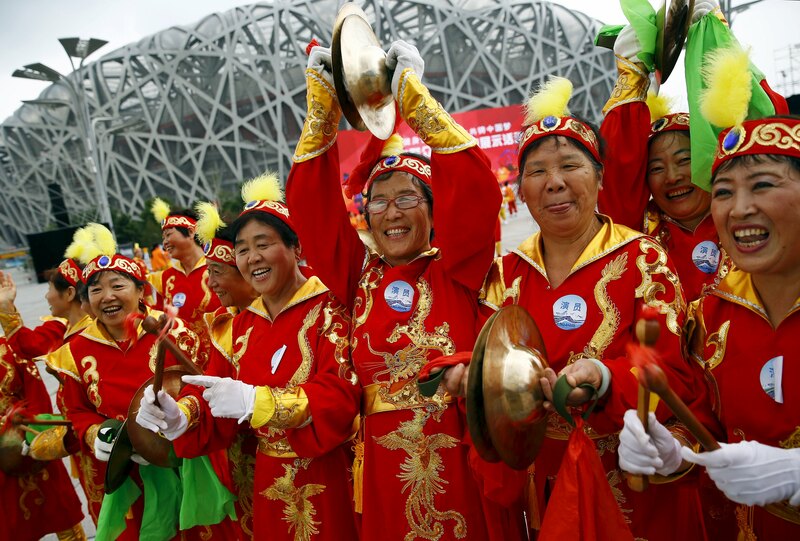 The IOC decision was met with sharp criticism from human rights groups, who said the situation in China hasn't improved since the 2008 Olympics. Sophie Richardson, China director at Human Rights Watch, called it a "a slap in the face to China's besieged human rights activists." "Over the next seven years, the IOC has enormous work to do in China to win the credibility on human rights that will ensure a successful Olympics," she said. Beijing and Almaty had both been considered longshots when the 2022 bid race opened two years ago. But they were the only two candidates left after four European cities -- including Oslo and Stockholm -- pulled out for political or financial reasons. "One thing I can say is Almaty was ready to host the 2022 Winter Games," he said. Beijing plans to use several venues from the 2008 Olympics, including the Bird's Nest and Water Cube. But the snow and sliding events would be at venues in Yangqing and Zhangjiakou, 40 and 90 miles outside Beijing. A planned high-speed rail line to Zhangjiakou is supposed to cut travel time to 50 minutes.